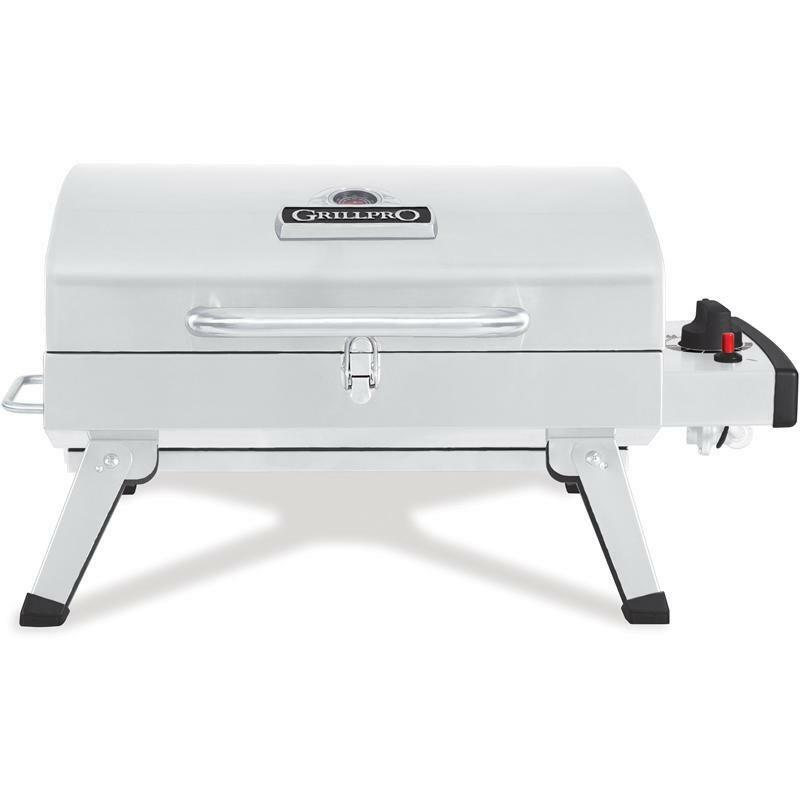 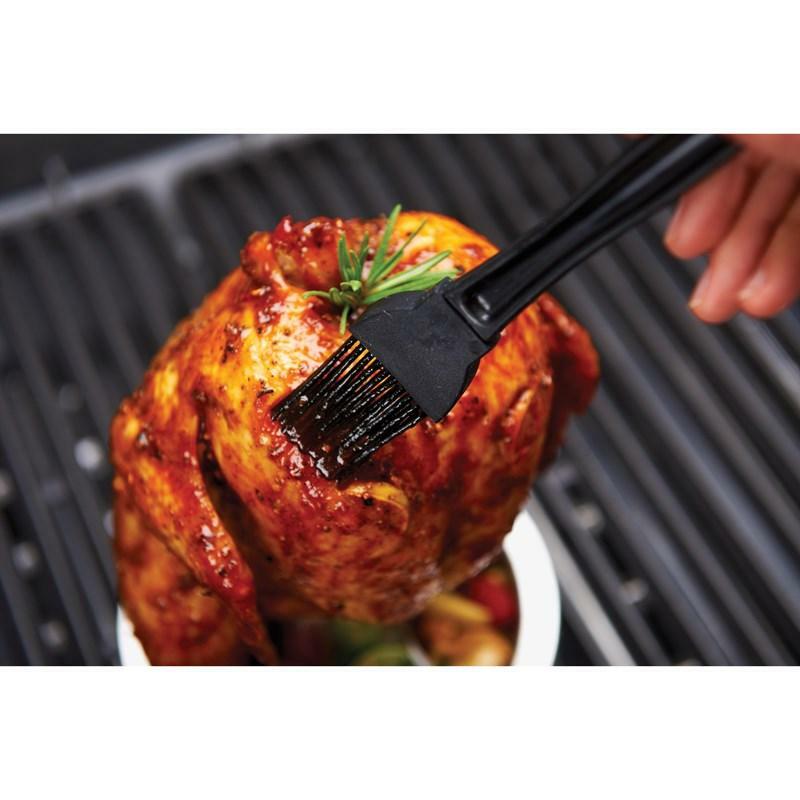 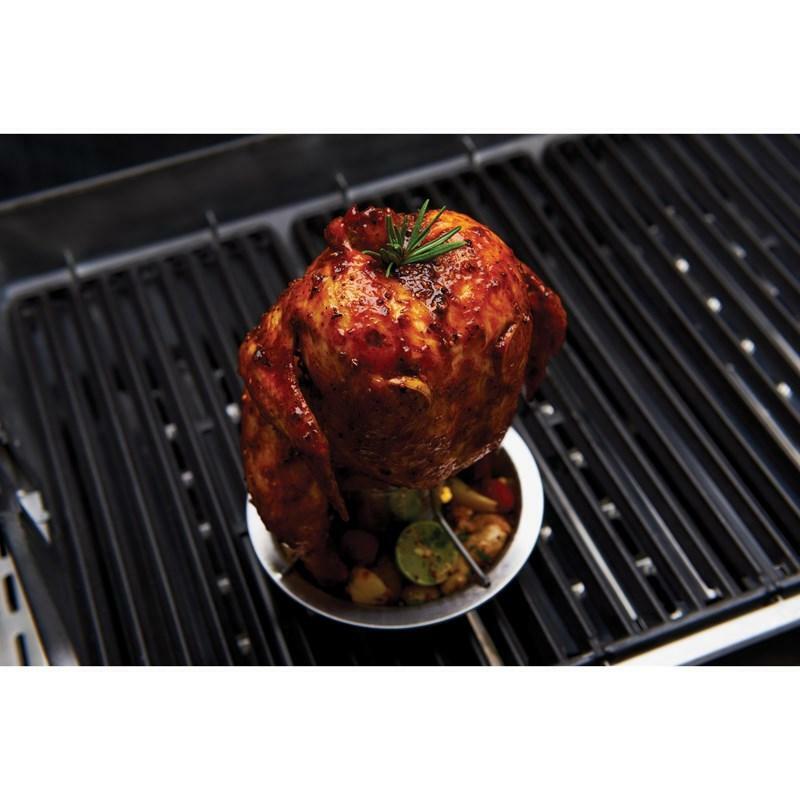 GrillPro® stainless steel chicken roaster. 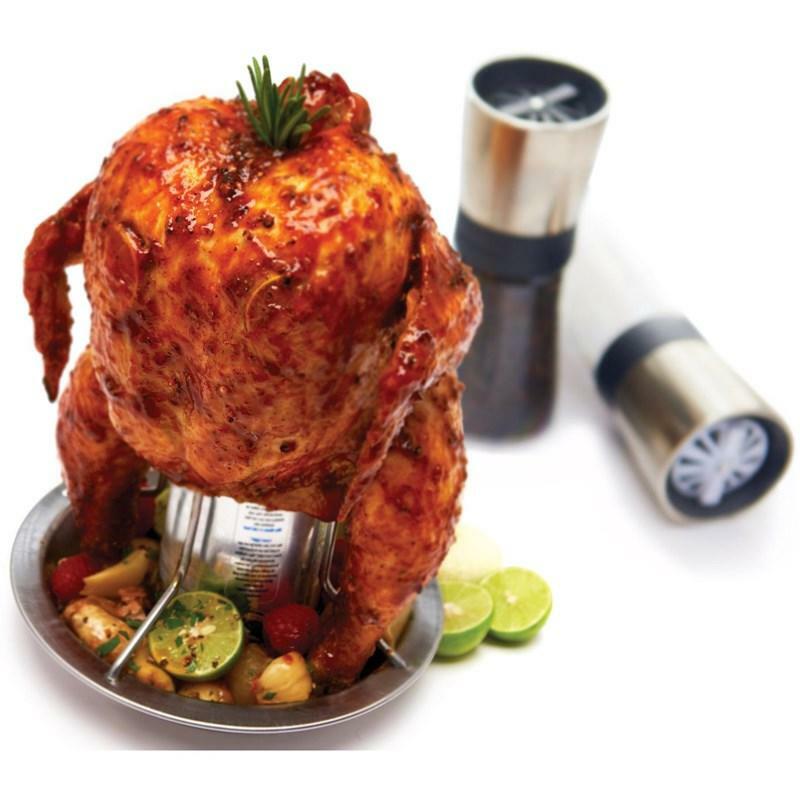 The best way to roast poultry on your grill! 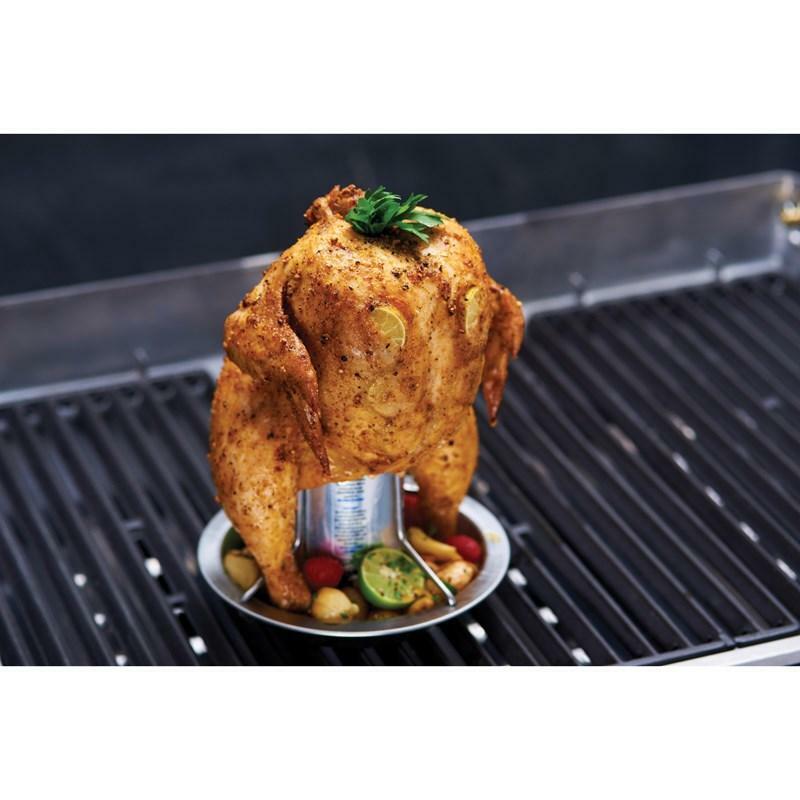 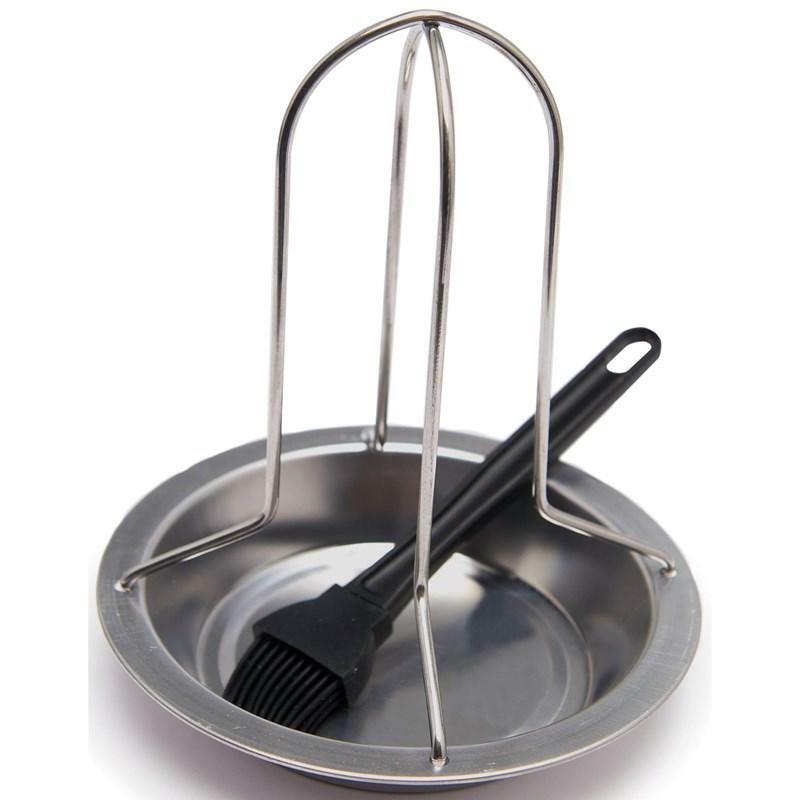 Includes one set of stainless steel supports that can accommodate most chickens and secure the beverage can; also features a stainless steel pan base. 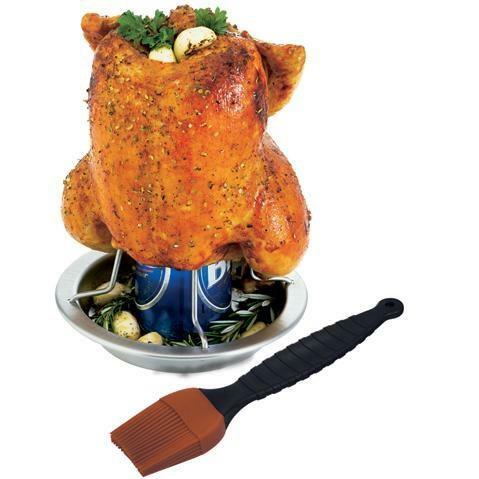 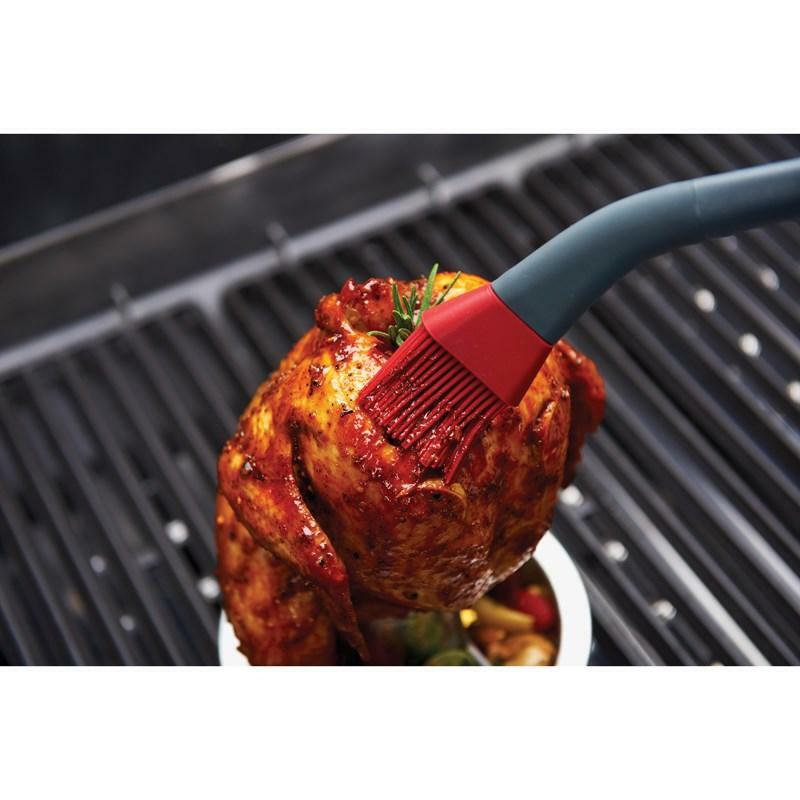 The set includes a silicone basting brush.